As you start making your 2019 star party list, consider the following – just in the inbox from the Maine Astronomy Retreat. 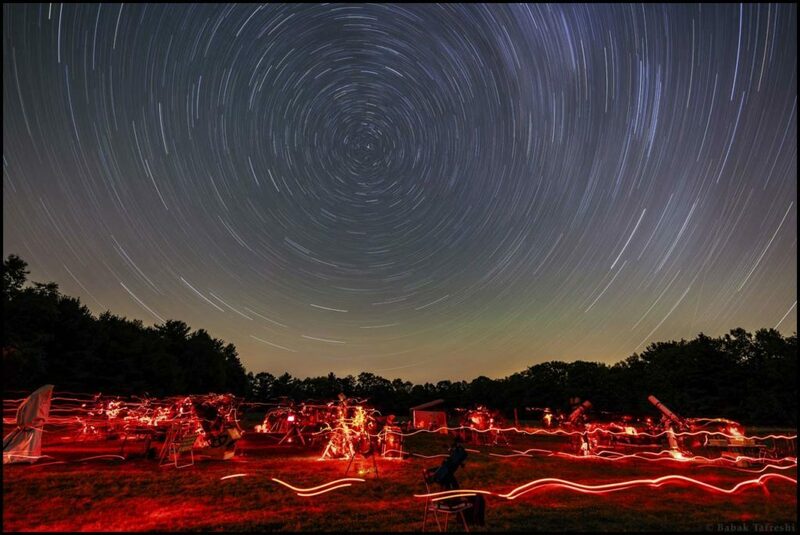 We are reaching out to share with you information about the Maine Astronomy Retreat at Medomak Retreat Center in Washington, Maine – a vacation for you and your telescope! Washington, Maine has some of the darkest skies in the Northeast, with a limiting visual magnitude of 6.3 (SQM value: 21.3 MPSAS). This summer, July 28th- August 3rd, we are hosting our sixth annual Maine Astronomy Retreat. For six nights you will be able to revel under our expansive dark skies – we will have telescopes on hand and we encourage you to bring yours, too. During the day, in addition to engaging lectures and programs by our expert facilitators, our facility is at your disposal. Enjoy our quiet waterfront equipped with canoes and kayaks, play tennis and basketball on our courts, or take a scenic drive and explore the beautiful coastal towns of mid-coast Maine. The retreat is led by J. Kelly Beatty, Sky & Telescope’s senior editor, and Bruce Berger, director of Amateur Telescope Makers of Boston Research and Imaging Observatory. Our special guests will be Dava Sobel, former New York Times science journalist and author of Longitude, Galileo’s Daughter, and the recently published book The Glass Universe, and Babak Tafreshi, founder of The World at Night, and nightscape photographer for the National Geographic image collection. For this star party there’s no need to bring a tent, sleep in a sleeping bag, or eat uninspired food. Medomak has comfortable, private cabins with real beds, hot showers, and electricity, as well as delicious, locally-sourced meals prepared on the premises. And it’s all included in your tuition. Limited to 40 participants. Questions? Would you like to speak with a live human? Please feel free to give us a call at 1-866-MEDOMAK. Thank you so much for your time and consideration. Want to help out the folks who run the scopes? Find Out How! Click HERE for the current list.